Submitted by mahoney on Tue, 09/23/2014 - 5:56pm. This file contains all Home Depot stores in the US (+ Puerto Rico and US Virgin Islands). 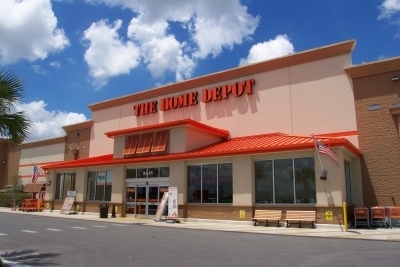 The complete store list was obtained from https://suppliercenter.homedepot.com/en_US/Supplier_Center/F... . After geocoding using GPSVisualizer, problem locations were corrected manually using Home Depot's Store Locator. Originally submitted by ajf1958 2008-04-06. Maintained by mahoney 9/23/14. Added new locations in Saint Johns,FL and Mount Pleasant,SC. Added new locations in Stamford,CT, Bradenton,FL and Hammond,LA. Submitted the correct coord for the location in Belleville,IL. Sent the correct coordinates for the location in St Joseph,MO. Added a new location in Big Spring,TX. Added new locations in University Park,Fl and Toccoa,GA. Removed 1 dupe. There are currently 7 users and 32 guests online.